The Elite Range Bar System for Forex Is Now Available! This release has been years in the making but it's finally here. 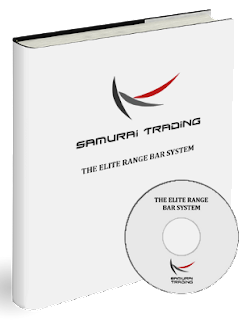 The Elite Range Bar System for Forex is now available to traders everywhere. I've put thousands upon thousands of hours into developing my trading techniques over the past decade and what you'll be reading about here is the culmination of all that hard work. Over the last couple months I've shared my Elite Range Bar System with a number of fellow traders and some early-bird purchasers as well. The response has been fantastic and I'm truly excited to share this with other traders of all skill levels and to help you take that next step in your trading performance. To start though, let me tell you a little bit about myself and why I have released The Elite Range Bar System for Forex. I've basically tried it all in my time as a trader from using long term charts like the Daily and Weekly, all the way down to 10 Second charts, but out of everything I've used nothing compares to the power of trading range bars in the forex market. They give you incomparable control over the market action, allowing you to take profits in trending, ranging, or even fairly flat markets. Whether you're an intra-day trader just looking to catch a bit more of the market action or a total newcomer to trading foreign exchange, the flexibility that The Elite Range Bar System provides is a fantastic thing! Why Release Your System To The Public? In the past few years I've shared how I trade in detail with only a small group of people that I know quite well. There's a few traders I've collaborated with for years that I bounce ideas off and some friends I've confided in, but for the most part I have always kept my trading methods to myself. I guess I'm just the secretive type. Then again, most traders are. It wasn't until I had some people close to me ask if I could teach them my approach in complete detail that my thinking started to change. I not only really enjoyed putting all the methods and tools together for others to use, but I found that I got great satisfaction in seeing people find success trading in the forex market using my strategies. Eventually word of mouth spread and I had more and more people asking me about my trading system. I decided if I was going to keep sharing my approach I needed to truly formalize the system so that any trader could use it regardless of experience level. I broke things down into basic, intermediate and advanced concepts and went to work creating a huge amount of actual trading examples that people could learn from and use in their own trading right away. From this, The Elite Range Bar System in its current form was born! I then started to ask myself, could I teach others who I didn't already know how to do the same things? Would it be harmful to my own trading business if I gave out my hard-earned systems? I thought about it for a long time but eventually came to the conclusion that there was no good reason to hold things back. So many people out there want to get quality instruction for trading and it is exceptionally hard to find. Most of the courses available aren't worth the paper they're printed on and spend 90% of their time focusing on beginner concepts rather than actual trading. Plus many aspiring traders want to learn how to effectively day-trade or make the most of limited screen time but the majority of the courses out there focus on long term strategies that just don't fit that goal. I knew I had something different, and I certainly knew there was demand for it so it made sense to share it with the world. 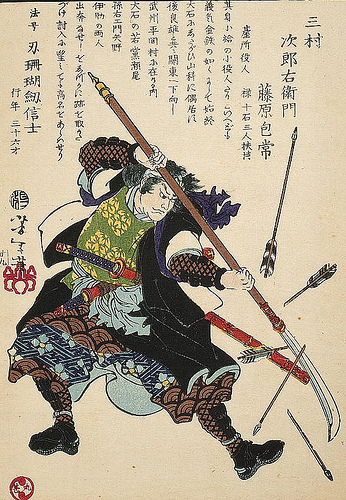 Am I concerned that somehow by sharing what I do it will take away my trading "edge"? Not at all. The forex market is absolutely huge and moves trillions of dollars. What we do as retail traders is hardly a blip on the radar of what is really going on each day. So even if thousands of people are trading the same way in the retail crowd, it doesn't change a thing from the perspective of the real movers of the market (big players like central banks, investment firms, etc). We are ultimately the little fish (no matter how many millions you might trade) and we feed off the big moves of the major players out there, so what's the harm having some more profitable little guys out there taking their piece of the market while riding the big waves? What is The Elite Range Bar System? My method is an approach designed to maximize Forex profits on an intra-day basis while keeping risk as low as possible. After trying out all sorts of methods over the years with varying levels of success, I eventually came across range bars and knew that I found what I needed to accomplish those goals on the consistent basis I desired. Range bars allow us to not only find high quality trading setups in all types of market conditions but they also keep our average risk much lower than our average reward. Most aspiring traders greatly under-estimate how important risk control is in trading and it's here that The Elite Range Bar System truly shines. We have a powerful combination of a high win rate and a very small risk per trade that allows our trading style to truly excel in comparison to virtually anything else out there. The thing I love so much about range bar charts is that they eliminate the time element of typical chart-based trading and allow you to just focus on price. With the 5 Minute chart or the 1 Hour we are often waiting for a bar to close in order to make our decisions, but does a bar close truly matter? If we can find a way to simply focus on price and momentum alone in a way that consistent and rule-based, can we take our results to another level? The Elite Range Bar System is proof that you can. What Makes The Elite Range Bar System Different? We all know there's countless options out there for traders. Courses, signal services, chat rooms... the list goes on and on. Many of these programs have you paying $3,000 or even more. So why is it so hard to find anything of actual value when it comes to real trading? I know I've spent a lot of money on various courses over the years but the ones that I actually found truly useful I can count on one hand. Most of what's out there simply doesn't give you enough quality information for what you're paying. They have you pay for loosely defined concepts rather than something you can actually apply immediately to real trading. Why is that? It seems the main reason is that most of these companies and individuals simply know they can. There's a never-ending stream of people wanting to learn how to trade so most of the companies out there selling courses and training just want to send the customer through as fast as they can to move on to the next mark. If the buyer learns something useful that's fine but it's hardly more important than just convincing someone to make that initial purchase. Then there's the fact that most of the courses cover the exact same stuff. They are focused on the same charts and all common elements like trendlines, pivot points, candlesticks, and on and on. Most of these courses are just padded with beginner material so that it looks "complete" but then they never actually bother to get to actual trading! This is where The Elite Range Bar System is different. It is all about how to actually trade with a detailed and comprehensive methodology. I don't waste your time going over the exact same things you can find for free all over the internet. I get right down into the guts of how to actually approach the market day in and day out to make pips. Sure, the course still covers some basic stuff and points you in the right direction to build the foundational knowledge you need, but the vast majority of the course is all about actual setups, trade management, and a huge amount of detailed video recaps of exactly how we traded with The Elite Range Bar System. And those recaps don't just throw up an entry and an exit either; they go into complete detail of exactly how each trade was managed from start to finish so you can truly learn how to do it yourself. And losses? Yup, those happen too so we cover every single one. How people are supposed to learn when most of these companies don't even mention when they lose is beyond me. There is truly no greater learning experience than a bad loss! What Does The Elite Range Bar System Cover? The Three Trade Types (click to learn more): There are three setups we commonly use in our trading and each is fully defined in the system. Setup criteria, entries and exits are all covered in detail. 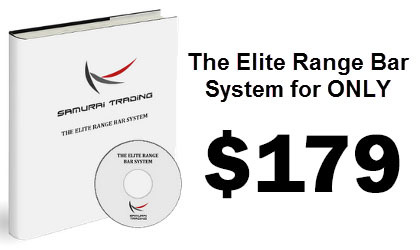 The Basics: All you need to know to get started with The Elite Range Bar System including what range bars are and how to use them, how to set up your charts for range bar trading, and more. Timing The Market: I provide all sorts of tricks of the trade for improving your market timing that I've learned over the years. Timing truly is everything! Trade Management: We cover trade management guidelines and scenarios in depth. This is what can really make the difference in your trading performance, so there's a huge amount of material and hours of video examples to provide all you need for exceptional entries and exits. Advanced Techniques: We don't stop at intermediate concepts and instead go all the way to advanced techniques for range and counter-trend setups to take your trading to another level. M5 volume, Bollinger Bands, and other concepts used for that extra edge are included here. I also include some "bonus" setups for the experienced trader to use in order to capitalize on almost any move the market makes. 7+ Hours of High-Definition Video: We cover all aspects of the course in detail while going through extensive market recaps to discuss setups, trade management, exit techniques, and a number of other concepts. All of this is covered in our course book and also in video form. Each topic is given the attention it deserves and explained in full detail with numerous video examples. Then when you add the extremely detailed market recaps (far more involved than the YouTube ones I sometimes post) that show our approach to every bit of the day's action on top of all of that, you've got something truly comprehensive to use for trading the forex market. In the end everything has been designed to be fully accessible to the new trader and market veteran alike. My motto when developing my systems is always the same, "as simple as possible, but no simpler". With The Elite Range Bar System that's what it's all about - giving you simple, tested, and highly repeatable setups that you can use every day while also providing you with the tools to take your trading to another level whenever you're ready to make the push. So What Do I Get With My Elite Range Bar System Purchase? The 60+ Page Coursebook and 7+ Hours of HD Videos: Immediately upon purchase you will get full access to a digital copy of the coursebook in PDF format and links to download the videos. Access to The Members Only Newsletter: I will occasionally send out e-mail newsletters with new and more involved member only market recaps, interesting discussions on topics like market psychology and trade management, and even some extra setups you can potentially add to your trading toolbox. Absolutely Free Lifetime Course Updates: If I ever add something to The Elite Range Bar System you will be the first to know! I will provide you with any updates in digital form for no extra charge. Indicators and Templates for MetaTrader 4 and NinjaTrader: I'll provide you with all the indicators and templates I use including my own EA for building your range bar charts. A full 30 Day, No-Questions-Asked, Money Back Guarantee: I hate courses that provide lots of information and then give you no time to really think it over and let it sink in. I want you to take your time and really get a good understanding of how we approach the market each day with The Elite Range Bar System. There's some discretion involved in what we do so it will take a couple weeks of watching charts and doing a bit of testing to develop your comfort level and confidence. There's no rush - trading is a long term skill so I don't want anyone cutting corners because they feel they don't have the time to properly go through the course. Spend some time with our method and see how powerful it can be and I'm very confident you will find the Elite Range Bar System well worth it! Well, now it's up to you. Have you been looking for something to take your market knowledge and results to another level? Been stuck using the same old methods and need something fresh and unique to break you out of your plateau? This course will help you do all that and more and I know that you'll find The Elite Range Bar System to be unlike any other course or trading system you've used before. The Elite Range Bar System has been worth many times more than my current selling price for all of the traders I've shared it with. Many of them are market veterans and saw the cost paid off almost immediately upon implementing their new range bar trading strategies. In offering this course though, I wanted to make sure that I didn't price out people who are still relatively new to trading and were looking for something effective but not at an exorbitant price. It's for this reason that I've priced it to be accessible to anyone who is serious about forex and their continued trading education. I've put thousands of hours into my trading and hundred of hours into this course, and I believe in its value strongly enough that I feel completely confident offering a full 30 day, money back guarantee. I know it will bring a whole new dimension to your trading and even if you've been involved in the markets for ten years you will find unique concepts that you can implement to positively impact your trading right away. So if you're ready to take the next step on the Path of The Samurai Trader, I'm looking forward to sharing The Elite Range Bar System with you and being a part of your journey to lasting trading success!